The Silver Tsunami is coming. That’s right. It’s no secret Baby Boomers are retiring and entering a new phase of life, and looking for an alternative to traditional assisted living facilities. In the third episode in our Profitable Niches series, we explore the world of residential assisted living homes. We chat with leading national expert and President of Residential Assisted Living (RAL) Academy, Gene Guarino, about this compelling investment opportunity, and four of his students who are successfully investing in this space. So much of real estate is about understanding specific demographics and their needs. All around the world, and especially in the United States, there is a massive population that has created business opportunities through every season of their lives … baby boomers. Baby boomers are retiring in droves, and they aren’t too far away from not being able to live independently anymore. Unlike generations before them, boomers (in general) are adamant about not living in an institution or hospital. They want to live in a home and have a social life. That’s what makes residential assisted living homes such a fascinating investment niche. This specific demographic and a unique financial model means more CASH FLOW than a typical single-family home investment. 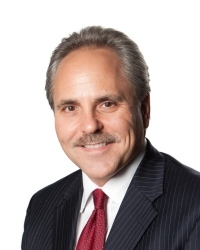 Gene Guarino is the leading expert in this investment niche. As president of the Residential Assisted Living (RAL) Academy, he teaches investors everything they need to know to get started. “It all starts with education. Get educated first. If you don’t, you’ll most likely go out, make mistakes, and bang your head against the wall,” Gene says. We’re all about education for effective action. So, we sat down with a few of Gene’s star students to learn about their experiences and what advice they have for other investors. Sherry Ellingson and Rocky McKay are business partners who attended Gene’s class several years ago. Rocky and Sherry first acquired an existing assisted living facility that needed some updating. The property is 10 beds with jack-and-jill baths and lots of places for residents to be able to visit with friends and family. The goal is to have residents feel at home and have a happy, safe place to make their own. How do they attract tenants? 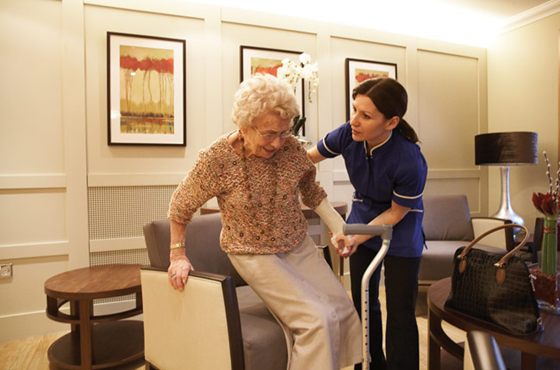 Case workers from hospitals and rehab centers refer potential residents and their families to placement agents who find out what they are looking for in an assisted living facility. Then, the agents take them on tours and show refer them to various home options. That’s why a good reputation is so important. “The reputation of a home is attached to the owner, so your focus should really be on creating your own reputation and brand from the ground up,” Sherry says. “The demand for a good home is extremely high, and as we provide such an essential service for our residents, it feels like we are doing the right thing,” Rocky adds. 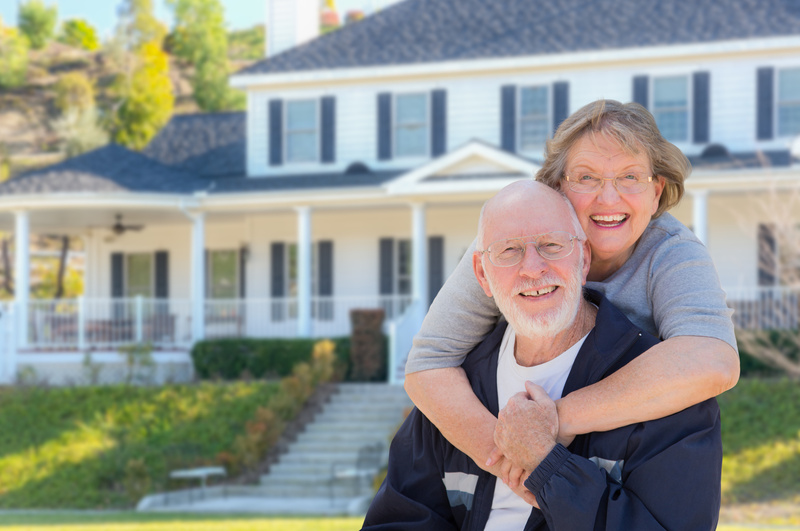 For investors just starting in the niche, Sherry and Rocky recommend looking for an existing home and remodeling it into a residential assisted living home. They also suggest having a fixed rent rate with everything included so families can set their budget and not worry about hidden fees. And don’t forget that there is benefit in adding more properties. More residents means the ability to buy supplies in bulk and save even more money on operation costs. Sherry and Rocky hope to have a couple hundred operating homes in the next several years. After going through the RAL Academy course, Loe Hornbuckle found his passion. Since then, he has opened 40 beds in residential assisted living homes and is in the process of developing an 80-bed facility made up of five homes on six acres as a planned community. Even though he was passionate about the type of investment he was making, Loe says he still had a lot to learn when it came to raising capital. “The first time I raised capital, I put out my business plan, and at the end of the first day my wife found me in the fetal position on the floor. It was harder than I thought it would be,” Loe says. Proper education changed this for Loe. He learned you have to build a network to effectively raise capital. He suggests that RAL investors attend events and conferences so they can meet the many people out there who are willing to help them along the way. “Your network is everything. When you build your network, you have the power to step into good business like residential assisted living,” Loe says. As a self-proclaimed real estate addict, CJ Matthews was looking for an investment with good cash flow and without a huge amount of ongoing work. After hearing Gene speak on RAL homes, she knew she had found the perfect niche. “With residential assisted living, you do the work to set everything up, and then you become the business owner. At that point, someone else can actually run the day-to-day business for you,” CJ says. The biggest advice CJ offers to potential RAL investors is to learn about and apply effective syndication. “Before learning to syndicate, going out and asking for money felt risky or scary to me, but after I attended the Secrets of Syndication seminar, I knew what I needed to do,” CJ says. When it comes to working with partners, CJ recommends choosing people who have skill sets you don’t. That way you can work synergistically and accelerate your success. And don’t forget this particular investment niche requires a special touch. “This space isn’t for everyone. You need to love real estate, love making money, love putting in work on the front end, and most importantly have a heart. If you aren’t willing to care about these people and making the last years of their lives happy, then this may not be the investment for you,” CJ says. Interested in learning more about investing in residential assisted living? Listen in to the show to hear more from Gene and his students. 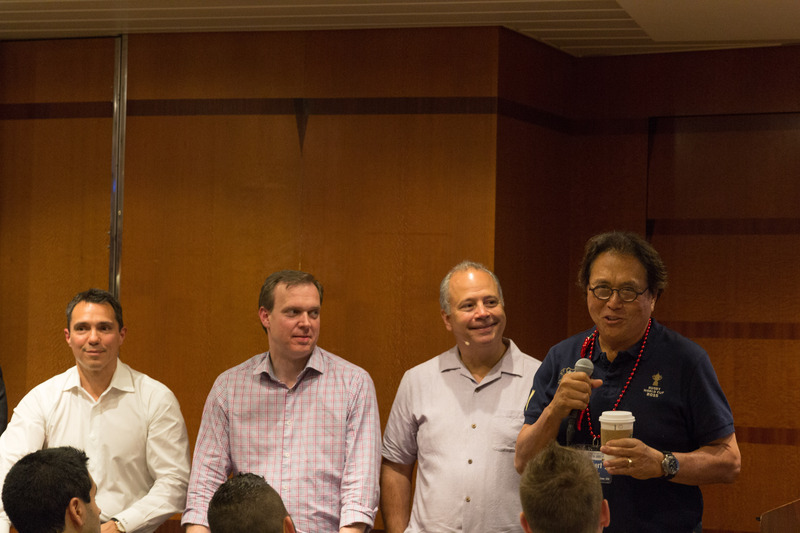 You can also email us at ALF@realestateguysradio.com, and don’t forget that Gene will be cruising with us on our Investor Summit at Sea™. We’d love to see you there! Listen to other episodes in our Profitable Niches series (like Stacking up Profits with Self Storage or Making Money with Mobile Homes) to step off the beaten path and learn more about other lucrative, but as-yet unexploited asset classes. There are three undeniable certainties in life. We don’t have control over the birth and death part, but we can decide how we want to live. In this episode of The Real Estate Guys™, we have invited Gene Guarino to teach us his secret solution to the age-old problem of, well … aging. Gene won’t be sharing secrets about erasing wrinkles, but he will teach us how to invest money wisely by following one undeniable demographic — the Baby Boomers. Gene has trained thousands of investors and entrepreneurs about how to invest in and operate Residential Assisted Living homes. And today Gene is teaching us how the baby boomer generation can bring a financial boom to your bank account. Gene Guarino started looking at his finances and his family a little differently years ago when his mother was getting older and needed more daily assistance. 2) government-subsidized centers with too many tenants and not enough staff. When Gene started looking at the big-box care centers, he wasn’t too impressed. He wanted his mom to feel at home. He wanted her to feel like she was part of a close-knit community. And that’s when he had his ah-ha moment. In order for his mom to feel at home, she actually needed to be in just that … a home! Many assisted living centers for the elderly are large structures housing anywhere from 100-500 residents. This hardly makes it easy to feel connected to your community. Gene does assisted living differently and he’s teaching thousands to do the same. So what exactly is Gene doing about the silver tsunami? He invests in regular houses, makes a few key renovations, adds in tenants, staff, and caregivers … and just like that, he goes from landlord to business owner. 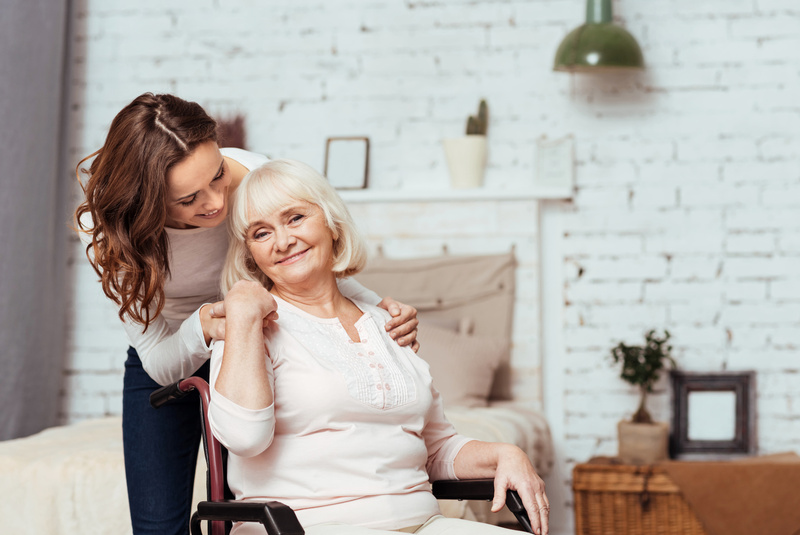 The philosophy of Residential Assisted Living appeals to Gene’s customers because they feel comforted that grandma or grandpa will be living a normal lifestyle. Care and accommodations are crucial to the business model’s success. The average Residential Assisted Living property will house 10-12 residents. Living spaces such as offices and dining rooms can be converted into bedrooms. Each state has their own rules regarding things like occupancy and structural regulations. Over the years, Gene has found that some areas are better than others for Residential Assisted Living. As with all real estate it’s always about location, location, location. Gene prefers to stay away from HOA neighborhoods because although they can work for the facility, they sometimes cause a little more headache than needed. This style of assisted living is new. It’s innovative. Gene started traveling uncharted territory, but he’s now the expert tour guide anxious to get new recruits onboard. Each year Gene personally hosts the Residential Assisted Living Academy where individuals can learn the business model, tour properties, and speak to field experts and first-time owners. This three-day, intensive course benefits the students because they can dive right in to see what life is like as a landlord and business owner. Once finished with Gene’s courses each graduate has the confidence, systems, resources, and support to successfully operate their own Residential Assisted Living business. Interested in seeing the possibilities for you? Click here to learn more about Residential Assisted Living Academy Training. As we like to say … go make some equity happen! Even when people stay still, time doesn’t. So today, one of the largest and most economically powerful demographics…the baby boomers…are living in “empty nests”, enjoying or preparing for retirement…and thinking about things like long term care for their parents…and ultimately for themselves. Of course, every time the baby boomers hit a new economic phase of life, they move markets. And when they do, smart investors and entrepreneurs find ways to serve those boomers’ needs…and earn great profits. Ever since Rich Dad Advisors Josh and Lisa Lannon showed us how they turned McMansions into cash flowing addiction recovery centers, we’ve been fascinated with the concept of combining business with social service with real estate. So you can imagine how excited we were when we met Gene Guarino! Gene is a Certified Financial Planner turned real estate entrepreneur. And he’s found a very profitable niche converting single family homes into assisted living facilities. Even better, Gene is a a gifted teacher. So not only does he know how to make money with assisted living facilities, he’s expert at teaching others how to do it too. 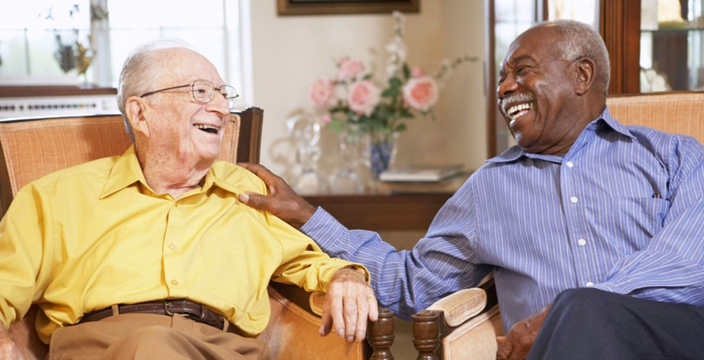 The opportunity in assisted living seems obvious…when you think about it. And once Gene brought it to our attention, the more we think about it, the more sense it makes. After all, you’ve got this HUGE demographic of baby-boomers getting older. And they happen to be the most affluent demographic on the planet. So the opportunity to help them set up their elderly parents in a nearby home in a nice area…with 24/7 care and a “homey” feeling (versus a “clinical” feeling)…is a great way to get some cash flowing your way. And with high income per “tenant”…and multiple tenants per home…you end up with more than enough cash flow to pay care providers…and end up with lots of extra cash at the end of every month. So you can make enough money to pay for a very nice home…providing a valuable service to an affluent demographic who can afford to pay you…and have a tenant base who don’t abuse your property, typically stay for years and are highly motivated to pay the rent on time. We like it. And we think you’ll like it too. So listen in to our interview with Gene Guarino. And when you you’re done, be sure to check out Gene’s webinar explaining how YOU can turn a single family home into a cash flowing assisted living facility.